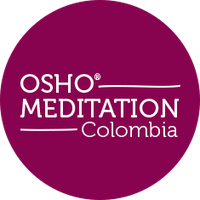 This year we will offer Osho Active Meditations in Bogotá and Cali. Dhyana Vargas will be facilitating OSHO Dynamic Meditation as a 7, 14 and 21 day process for one hour in the morning and one hour in the late afternoon so it is possible to integrate meditation to your daily work routine. These two powerful techniques are the pillars of Osho´s teachings. OSHO Dynamic Meditation is a method that activates the energy, ideal to start the day. Similarly, OSHO Kundalini Meditation was created to finish the day shaking the accumulated tensions. Any meditation technique is recommended to try it for at least seven days consecutive in order to go deeper in the technique and see the transformation. Meditation isn´t something that needs absolute isolation, on the contrary, it grows in us and we can apply it to every daily situation. The courses are designed to be integrated in the daily routine and environment.